Over many years of experience, Dr. Man has consistently sought to improve the aesthetic results of his plastic surgery work. 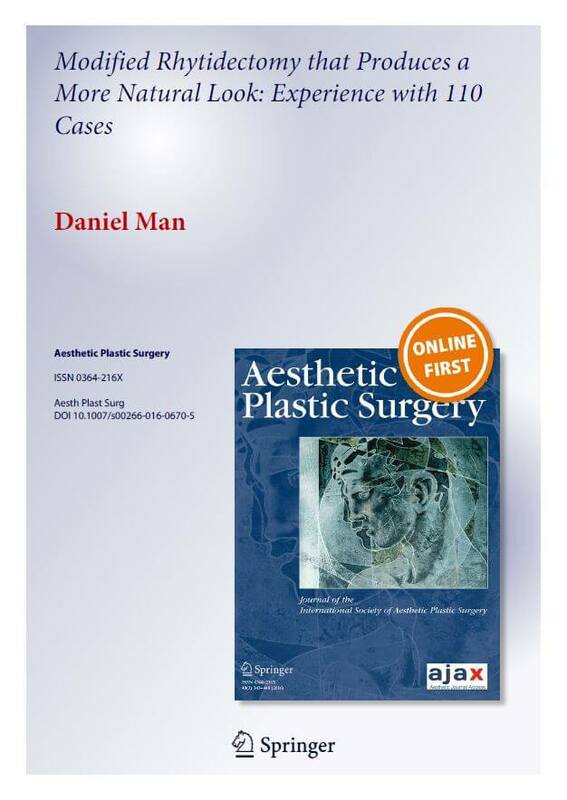 To improve upon already existing methodologies, Dr. Man developed his own version of a modified Rhytidectomy, or facelift, which he calls the Natural Face Lift which is a Neck Lift/Face Lift procedure, a technique that produces aesthetically superior results when compared to other surgeries. If you live in Boca Raton, Deerfield Beach, or nearby areas in Florida, contact Dr. Man’s office to inquire about this revolutionary surgical technique. What is the Natural Looking Face Lift or Neck Lift/Face Lift (NLFL) procedure? In 2009, Dr. Man developed a novel Rhytidectomy technique to provide more natural-looking results than those achieved through other facelift procedures, which often result in facial and ear distortion/ deformity. By combining the benefits of a facelift with those of a neck lift, and modifying the techniques used to perform the surgery, this procedure addresses issues of eventual ear deformity resulting from plastic surgery that neither procedure addresses on its own. What conditions does the Natural Looking Face Lift or Neck Lift/Face Lift procedure treat? This procedure rejuvenates the entire appearance of the face and throat, eliminating sagging skin, wrinkles, bags under the eyes, jowls, lines and creases, and other imperfections of the skin on the face and neck. What makes the Natural Looking Face Lift (NLFL) procedure unique? Dr. Man’s exclusive surgical technique is designed to optimize aesthetic outcomes by employing incisions hidden within the ear, fat transfer from the patient’s own body to restore normally lost facial volume, and absorbable bi-directional sutures. The NLFL procedure allows for less skin removal and shorter, more concealable scars within the inside perimeter of the ear, and thus produce less distorted facial contours. Why did Dr. Man develop the Natural Looking Face Lift (NLFL) Neck Lift/Face Lift procedure? Dr. Man developed the Neck Lift/Face Lift procedure upon recognizing the effects of aging on the ear and the mechanisms leading to ear deformity associated with traditional facelift procedures. Dr. Man’s technique was further modified to secure the ears in a way that prevents inferior drifting of the ears. The modified NLFL technique stabilizes the ears, secures the bottom of the ears, and prevents elongation and downward drifting, thereby achieving long-term aesthetically pleasing results. Once the flaps in front of the ear, back of the ear, and neck are elevated, future face and ear deformities are prevented. How does the Natural Looking Face Lift (NLFL) procedure compare to other procedures? Dr. Man’s modified Rhytidectomy technique has many benefits over a traditional Rhytidectomy: the incisions are hidden inside the ears, so there are almost no visible external incisions, and there is no deformity of the ears and earlobes because the ears do not drift downward. With NLFL the ear canal is not distorted, there is no hairline distortion, and most importantly, it results in a natural-looking facelift without the commonly seen deformity of any noticeable pulling. This modified approach to Rhytidectomy achieves natural-looking, aesthetically pleasing results. Am I a good candidate for the Natural Looking Face Lift (NLFL) procedure? Almost any adult in good health may be a good candidate for this procedure if they wish to rejuvenate their facial appearance and have no contraindicated conditions; however, Dr. Man can best help you determine whether this procedure is optimal for you. Contact our office to schedule your consultation with Dr. Man today! Dr. Man’s revolutionary Neck Lift/Face Lift (NLFL) procedure is available for residents of Boca Raton, Deerfield Beach, or nearby areas in Florida who wish to improve their facial appearance. Contact Dr. Man’s office to learn more about the NLFL procedure and what it can do for you.